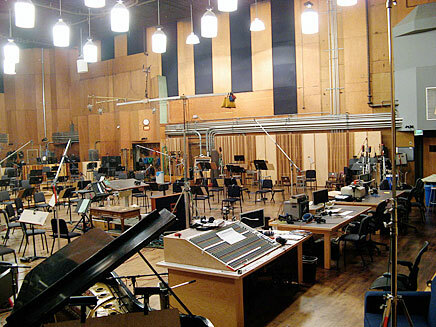 The contributions of Fox Music over the last seventy years transcend the field of film and television music. Introduced by this department are such monuments of culture as "Love is a Many Splendored Thing", "On the Good Ship Lollipop", the score from "Laura" and the "Theme from M*A*S*H". The history of the department is inextricably linked to the family history of its creator, Alfred Newman, and is legacy. Alfred, the first head of Fox Music, arrived in Hollywood in 1930. Continuing with the next generation of Newmans, Thom and David, the Newman family has been nominated for more than 70 Academy Awards. To celebrate the Newman Legaccy and their past, preset and (no doubt) future contributions to film music, Fox Music recently dedicated its scoring stage to the Newmans. Recorded using the Quad Spider consisting of 4 DPA 4006 Omnidirectional microphones and a Genelec 1032 monitor to play back the sweeps.